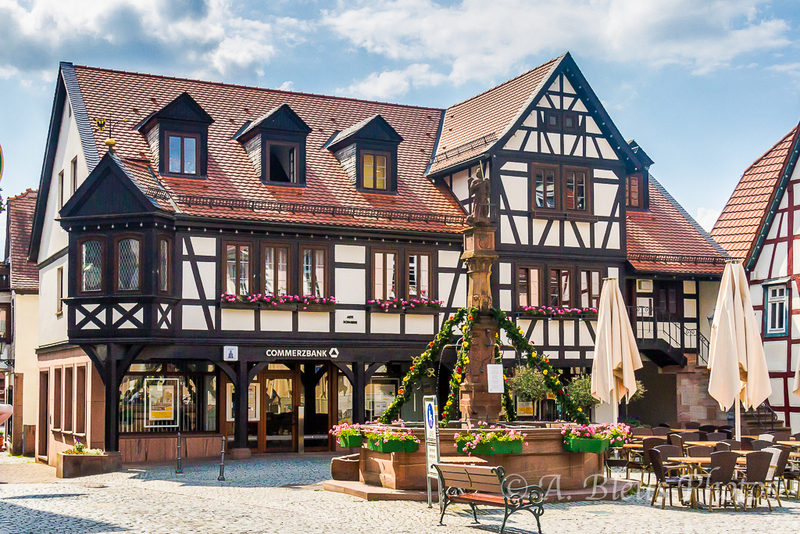 Another major landmark of Michelstadt is the city fountain. Beautiful fountain in an even more beautiful setting. Looks like a great place to sit out and have a nice glass of wine. Exactly what I did sitting on the bench nearby looking at the surroundings but with a nice german beer. My best to you for the coming year.